Psychic Channel Judy Cali brings forth messages from the Masters on how to Live in Golden Grace during this new Golden Age on Earth. 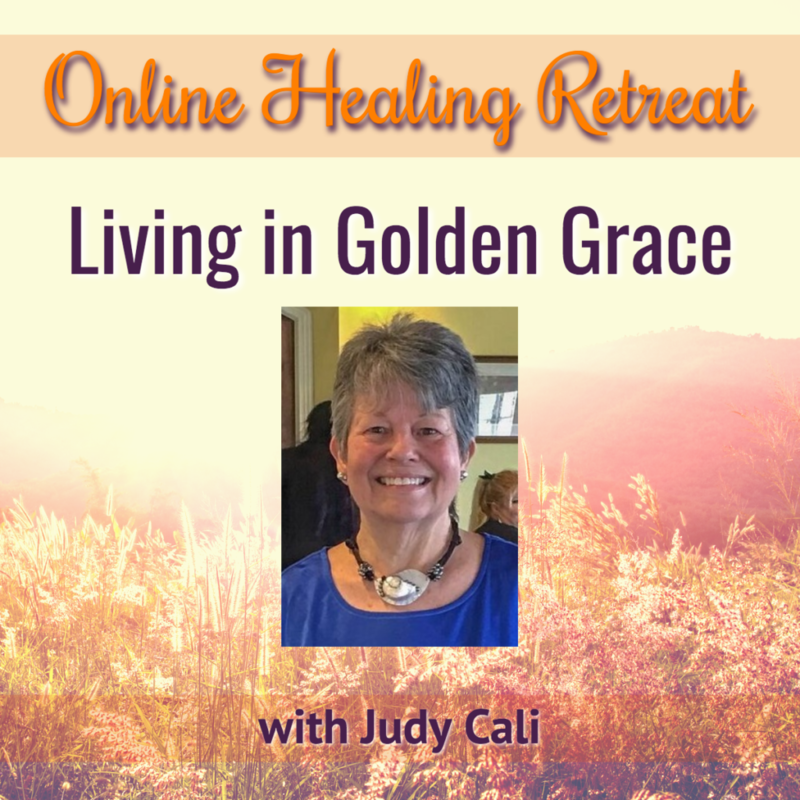 Judy uplifts and nutures us as she shares insight from the hidden realms, who all share messages to empower and assist us in walking, and being in Divine Grace and Living Golden Grace. Each experience with Judy is magical and we don’t know who will show up until we are in the moment of the event. Yet you may feel the magic beginning to happen in your dream space or physical world in the days leading up to this event. Judy has brought forth the Ascended Masters, Angels, Saints, Sages, Ancient ones, and the animal kingdom in these heart-opening and Christ Consciousness-activating online seminars. As we come together as a Spiritual Family we will explore & share many ideas including, 20 suggestions to assist you to live aligned with your 5th Dimensional Self in Golden Grace. Judy will Channel Kwan Yin & offer that she assists each one of you into Her Portal of Healing which opened on 10/10/2018. Thus creating for you, New Highways of Light in Kindness, Love & Healing in ALL Forms to assist you to go thru your personal Transformation & Redirection in Healing, Rejuvenation & Regeneration. Judy will also Channel Jesus & Mary Magdalene & offer their assistance for you, since your Pineal Gland is enlarging to restructure more Light so you can align with your Light Body of 5th Dimension & your Androgynous Self. This allows you an Energetic Structure around your Head known as The Golden Crown of Christ Consciousness. Judy will also discuss some of the Symptoms you may be experiencing. Judy will share about her experience with Expanding & Integrating into her I AM Presence, Ascended Master Self as Anna, Mother Mary’s Mother, her Galactic Self & as of last week she stepped into her Great Golden Central Sun Self all in 2018. She also released her deepest Core Pain & Fear also Fight or Flight Pattern & ALL Beliefs. Judy is also well known for Channeling Surprise Beings Popping In with Special Messages for the Group.